Hello! 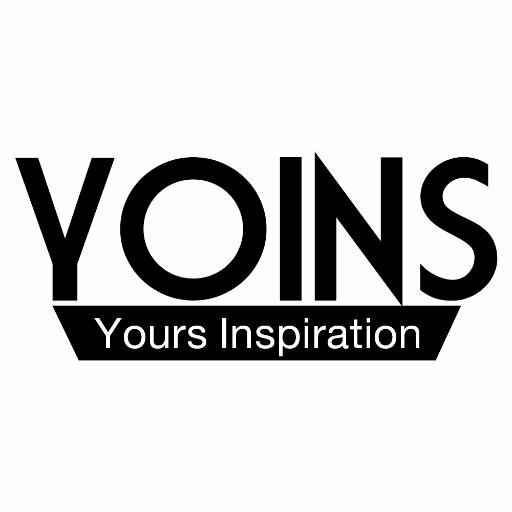 Today I want to show you some pretty things from Yoins collection! So I choose 3 lovely blouses, and I hope you like them too! 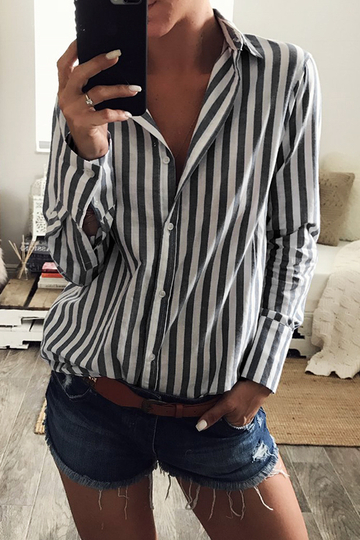 First one is Stripe Shirt With Irregular Hem. Stripes are always a good idea, when you have no idea how to wear. 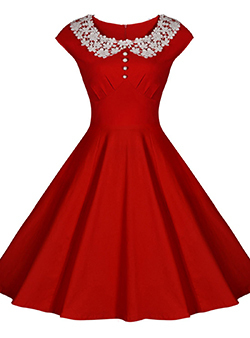 It looks great with classic jeans, skirts, and for example white pants. Second one is Dark Blue Chiffon Wave Point Blouses with Cut Out Design. 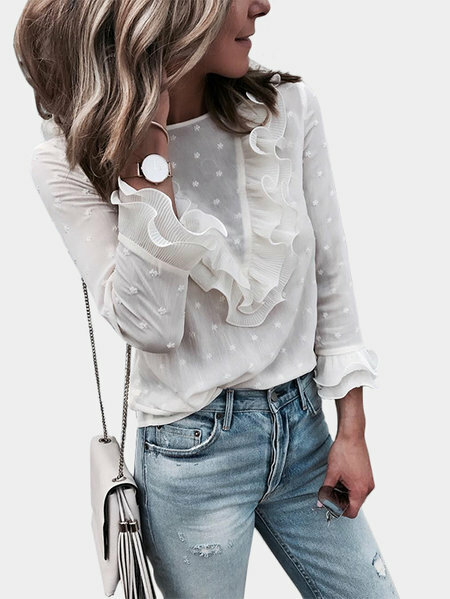 I love dots, I think you know that :D This blouse is good for elegant outfits and also for casual situations. The last one is my favourite! White Flouncy Details Round Neck Long Sleeves Blouses. I love the design of this blouse, it's so beautfiul and romantic! So I choose three tops, which I like the most. First one is yellow, and I have to say that's my favourite color lately! Looks great with jeans and grey cardigans. Second one is classic black top, with amazing flare sleeves, so chic and romantic. The last one is black mesh and lace top, and I see this top with flare skirt, that look would be so girly and cute! So tell me which top you like the most?